Hiring methods can have a direct impact on company culture. It is essential that you can determine the vision and core competencies, as well as the morals and ethics of your business. Once you have decided the direction, you want your company to go in, and what you want to represent as a whole, your hiring decisions should reflect that. This means that you should hire employees who are like-minded, and whose ideals align with that of your desired company culture. Ways you can ensure that you are hiring the best potential employees include background checks and drug screens, as well as inquiring about their opinion on various company policies to ensure they meet your overall standards. For example, pre-employment assessments can help you to measure how potential employees might fit in with your current company culture. Overall, the goal of a hiring assessment is to streamline the hiring process and ensure the best hire is chosen. It is essential that you express to current and potential employees your company’s primary objectives and the image you want to portray to the public. Essentially, your employees help to build the foundation of your business, and their actions can reflect either positively or negatively on the company as a whole. If employees are happy and satisfied, this will show customers and investors that your company has the ability to create a stable environment. On the opposite end, employees can let it be known how a company fails at treating them fairly. And since people do care about the way that companies take care of their employees. Moral and ethical questions about your business can lead to loss in sales. This is due to lack of customer trust or approval at business practices. There are also other various ways that you can promote and improve your company culture. For example, practicing effective conflict resolution methods can go a long way towards creating a more stable work environment. You should strive to promote open and positive communication, as well as tolerance and acceptance. When obstacles arise, it is essential that they are adequately resolved by management. 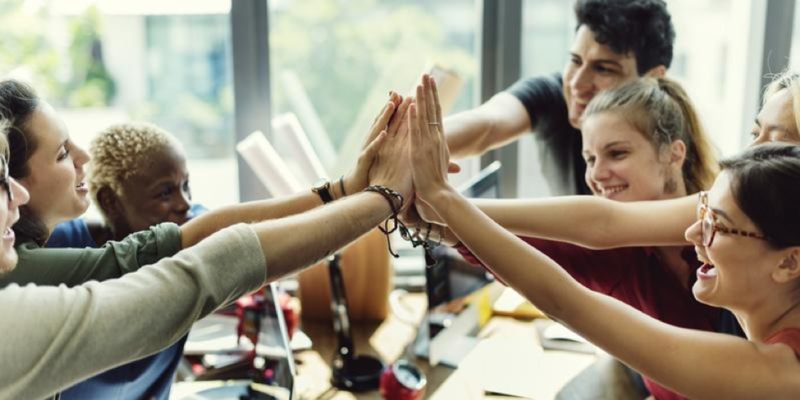 Other methods of improving company culture include empowering your employees and encouraging employees to build positive relationships with each other. Today’s modern workforce also appreciate having more flexibility in the workplace. If you want to keep employees happy, then you may want to allow employees the option to work from home and telecommute to work. This will go a long way toward improving employee satisfaction. To empower your employees, you need to invest in their overall success. You need to ensure that they can reach their full potential. This can be achieved by rewarding their achievements and providing them with the tools and resources to succeed within their position. To effectively promote positive relationships within the workplace, there are various approaches you can utilize. It can be helpful to facilitate work events, which will allow employees to get to know each other better. Also, it can be beneficial to create teams within the workplace so that employees can work together to achieve a common goal. Overall, there are many benefits to creating a positive company culture. It can help to develop higher levels of productivity among employees. This, among many other things, can help improve a company’s brand and image. This can all translate into better sales, increased brand awareness, and customer loyalty.